3. 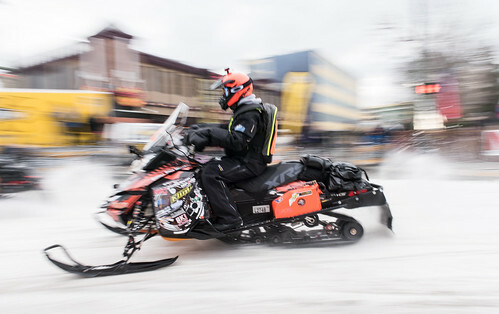 There has been lots of Iron Dog activity in Ophir so far this year……it is an old mining town, about 12 miles from Takotna. 4. During race week, Takotna is the closest spot for reliable comms. When a checker has to get information to the HQ via telephone…. they have to get on a machine and run back to Takotna to call a report in…. 5. Racers will fill up both tanks at Ophir…..because the run from Ophir to Poorman is 99 miles and well it is filled with obstacles……punch the throttle, slam on the brakes….punch the throttle, slam on the brakes…..bounce from tussock to tussock and well you get the picture…..fuel economy isn’t going to happen in this section of Iron Dog!!! 6. Water is heavier than fuel…..1 gallon of water is 8.34 lbs and 1 gallon of fuel is approximately 6.07 lbs. 7. You can hit refresh as many times as you want on the GPS ping page, but it will only beam up an update about 8 times an hour…just open a couple windows and make sure you have the refresh box checked and it will do it automatically…..no more refresh refresh refresh!!!! 8. 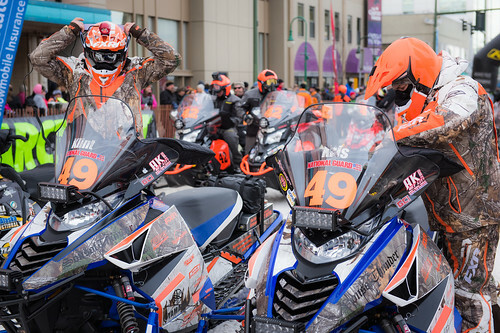 When a race team makes the final 8 mile dash to Pike’s Landing,,,,,they will leave the Tanana River and turn onto the Chena River…lots of twists and turns there! Mother Nature continues to be a leader in this competition…….McGrath has had the low temperature of the last month and now it has a high temperature in the state yesterday…….the trails from Rohn to UNK have wet heavy snow…..it rained in Nikolai yesterday!!!! 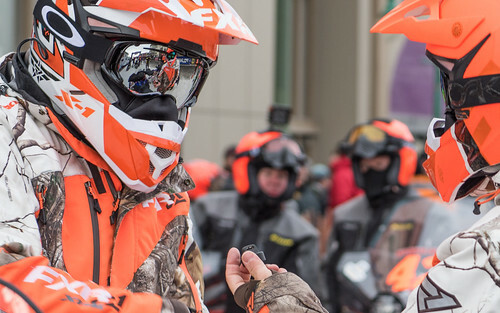 Teams have to wear a blaze orange helmet…….some are specially painted others will be covered with blaze orange duct tape!!!! This one is pretty…..I bet that silver paint is reflective? 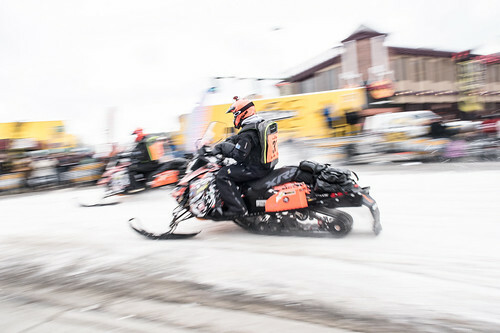 Team 42 went on a mission headed to Nome…….when they got to Kaltag, they called UNCLE>>…..headed back to Galena…..wet heavy snow for 810 miles……. This is an old GPS page….you see the refresh button in the upper ribbon…..check that box and you won’t have to hit refresh a thousand times!!! 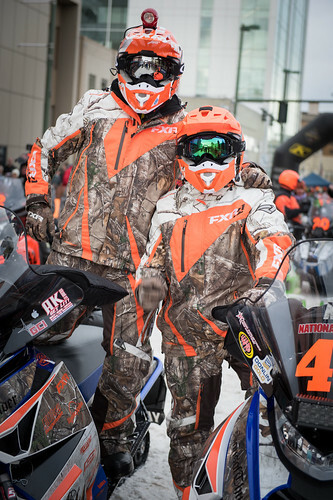 Third Generation of Iron Dog Champions? It is possible…..but I think we better not get ahead of ourselves…..18 more years!!!! There is the Iron Dog billboard!!!! Just before the final run to McG……Team 31 spent last night out there….heading home today!!!! Getting his cardio workout in!!!! 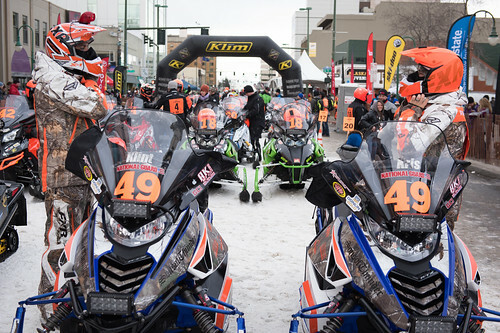 checking out the sea jumble……Team 16 is the only team I am aware of that made a full pre-course run to Nome in 2019. 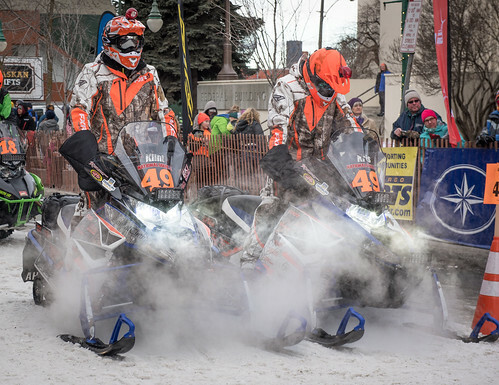 Troy Conlon you have been on the most colorful team in all your Iron Dog runs……..where is the color for IronDog2019? Team 26 at Rainy Pass Lodge…..Iron Dog calls this checkpoint Puntilla Lake. Team Barber 39 and Team 5 working out all the deatils…….Garage time, testing time…….that little indy is looking like a lowrider to me! I stopped counting the teams that have made it to Rohn. Pop Quiz: what teams do you know made it there this year? Race Programs are in!!! Pick yours up!!!! Teams that are seperated by 320 miles on the road system have to plan a good week to get their shake down rides in!!! Team 31 went from Deshka to McG and back yesterrday and today! 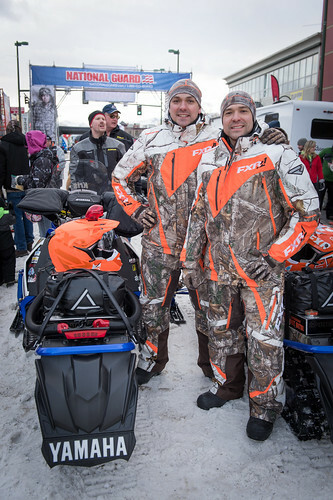 Team 42 one from Nome the other from McGrath are separated by more than 380 road miles for sure…..a pre course run was their goal,,,,,but Mother Nature interfered with those plans and sent them backwards on the trail when they got to Kaltag…..returned to GAL and flew home! I believe this is team 42…. Pop Quiz…….Team 26 somewhere on the trail?